The gyrfalcon has been prized by humans as a hunting companion since ancient times. 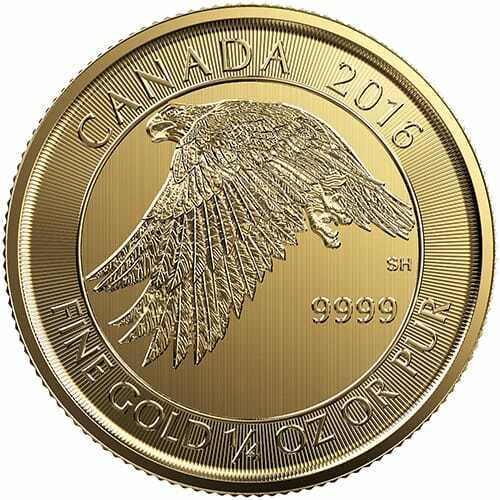 Associated not only with falconry but also with royalty and nobility, and a celebrated circumpolar Arctic coastal dweller, the gyrfalcon—the largest of the falcon species—makes a fitting subject for the Royal Canadian Mint’s stunning 2016 gold coin. 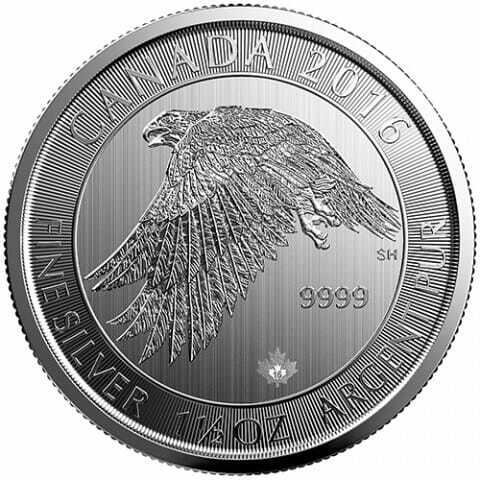 The reverse design by Canadian artist Steve Hepburn features a gyrfalcon in flight. Viewed in profile from its left side, the gyrfalcon is presented with its powerful wings drawn forward. Its large eye, sharply curved beak, and sharp claws are highlighted in this stunning portrayal. The detailed coloration of its plumage is captured in the purest gold using a variety of engraving techniques. 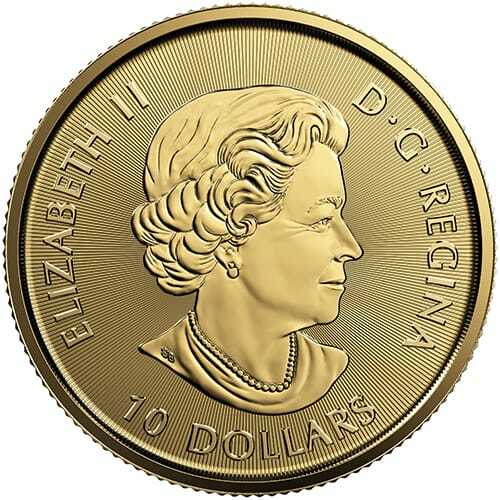 The obverse features the effigy of Her Majesty Queen Elizabeth II by Susanna Blunt. world for their exceptional beauty and purity. pattern that is specific to this coin. and finishes to bring depth and texture to this stunning image of Canadian wildlife. An astute investment and exquisite complement to any collection featuring Canadian wildlife. To learn more about Gold Gyrfalcon coins and to get current pricing, please call us at (800)355-2116.